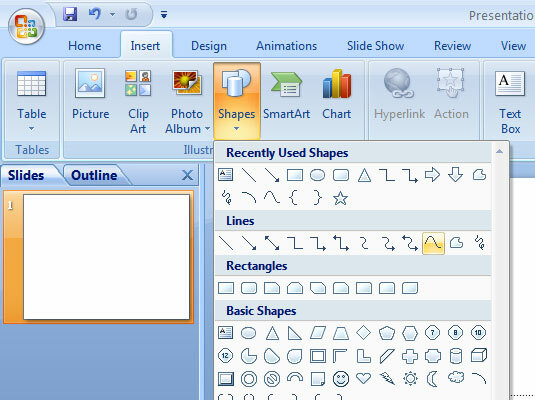 1Click Shapes group on the Insert tab, then select the Curve shape tool from the Shapes gallery. 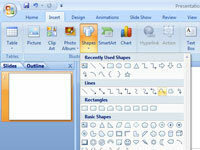 The cursor changes to a cross-hair pointer. 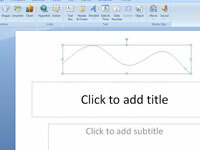 2Click where you want the curved line or shape to begin. Your curve can go up or down, left or right. 3Click where you want the first turn in the curve to appear. The straight line turns to a curved line, bent around the point where you clicked. As you move the mouse, the bend of the curve changes. 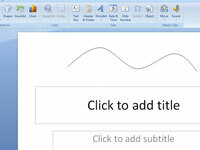 Each time you click, a new bend is added to the line. Keep clicking until the line is as twisty as you want. 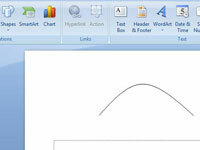 4Double-click where you the end curved line to end. 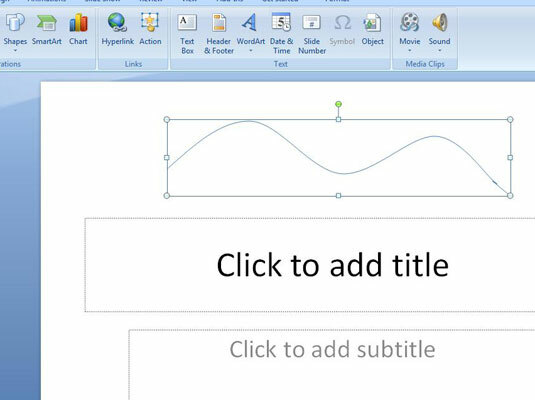 To create a closed shape, double-click over the starting point.